"BI is not an upgrade to the spreadsheet", "Stop trying to use spreadsheet as the BI tool" - BI vendors are frequently heard to make such comments. People may thus assume that the spreadsheet is on the decline, and feel embarrassed by their Microsoft Excel, RaqSoft esCalc, LibreOffice Calc, and OpenOffice Calc tools because they may have a wrong impression that these tools are not intelligent enough to cross the BI threshold. The technology consulting firm Gartner Group Inc. once precisely predicated that BI would be the hottest technology in 2012. The year of 2012 witnesses the sharp and substantial increase of BI. Unexpectedly, spreadsheet turns up to be the one developed and welcomed most, instead of the SAP BusinessObjects, IBM Cognos, QlikTech Qlikview, MicroStrateg, or TIBCO Spotfire. In facts, no matter it is in the aspect of total sales, customer base, or the increment, the spreadsheet is straight the top one. Why the spreadsheet is still ruling the BI world? One of the key factors is its low technical requirement. The spreadsheet does not require a complex installation and deployment procedure or the expertise in SQL/MDX/Java script/.Net, let alone a great many of advisory agents and technical experts to give you command. The spreadsheet is so simple and easy-to-learn that even the "100 Compulsory Things to Do for U.S. Pupils in Summer Holiday" includes the homework of presenting the data in Excel to their parents. These are just the drawbacks of the non-spreadsheet BI tools - their technical requirements are usually too high. Being intuitive, free, and flexible are factors in another aspect. The simple actions like query, filtering, grouping, sorting, formula composing, and judging are the routine work common and understandable to everyone. The free combination of these operations can bring about numerous algorithms. However, the non-spreadsheet BI tools are all hard to understand, and restrictive to your innovative ideas. Just to name a few, you can only calculate in the model of the respective BI tool and must have an idea of the rotation of dimensions. Most importantly, the spreadsheet is business-personnel-oriented. What is the purpose of BI? 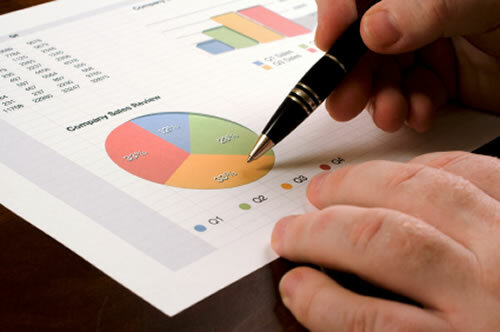 BI is aimed to enhance enterprise competiveness through business computing. This objective requires the business personnel to carry out the analysis from the business perspective when confronting to the business opportunities and risks. However, the non-spreadsheet BI tools are designed for the IT experts. They may know the SQL and linear regression, and are capable to solve the 20% BI problems, but they may not necessarily know the business. It is the low technical requirement, intuitive and flexible calculation capability, and business-expert-oriented easy solution to the 80% BI problems that makes the spreadsheet still rule the BI world. Despite the gap that still remains, the non-spreadsheet BI tools are more and more close to the spreadsheet, for example, the QlikView which is reputed for its agility. Some spreadsheet applications have remedied the drawbacks of traditional spreadsheet calculation, for example, the esCalc known of its great computing capability. How Well Do You Know Spreadsheets? Self-service BI, the Next Big Thing or Disaster Waiting to Happen? Great post. I am writing a paper about business intelligence. This is extremely interesting and helpful. Thanks so much for sharing. Business spreadsheet for complex computing! Raqsoft Co., Ltd. Awesome Inc. theme. Powered by Blogger.